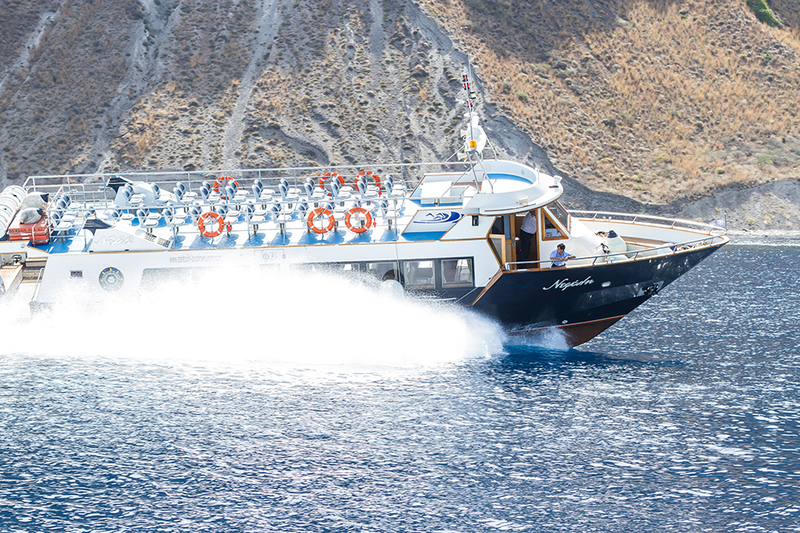 The Boatmen Union of Santorini operates in Santorini 70 years now, Our primary goal, is the safe transport of passengers to and from the cruiseships and it is carry out by the 20 modern vessel that we own. We cooperate with the most important cruise ships companies of the world as: Msc, Costa, Louis Cruises, Carnival Cruises, TUI, Cunard , Holland America Lines, EtsTur, Aida Cruises, Norwegian Cruise Lines,Seabourn, offering high quality services we built a strong relationship with all the companies that recognize us the important role we carry on. 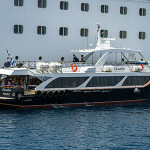 We also cooperate with Blue Star Ferries, Seajet, Hellenic Seaways, GA Ferries, Anek Lines, Mega Jet, offering them mooring services at the main port of the island, Athinios, 365 days per year, 7 days a week, 24 hours on 24. The mooring is also offered at the old port and off shore for the buoys. Apart from the well equipped fleet our human resource plays an important role. Perfectly trained, with high experience and major willingness to offer, it contributes to the Union’s prosperity, high living standards and multifaceted social action. 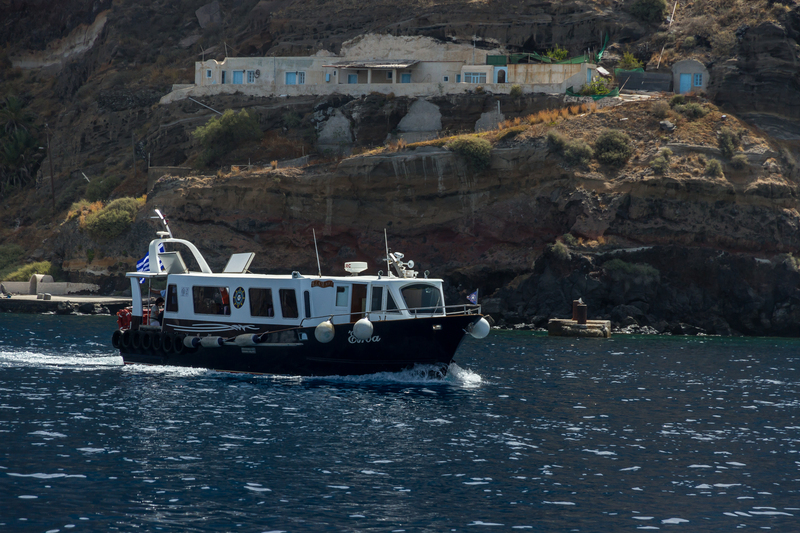 Our Shipyard, in the beach of Vlychada, originally began as a basic area of repairing and maintenance of our Vessels. 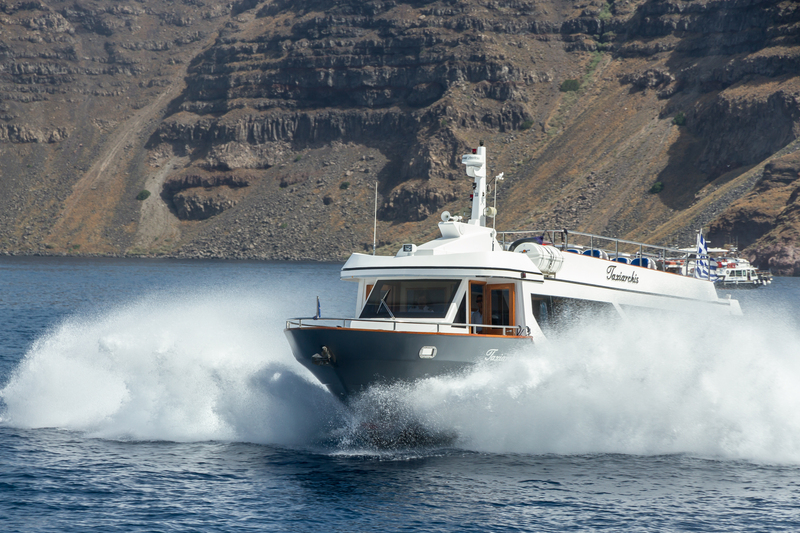 But from 2013, it has started also as a manufacture of luxury touring passenger craft. 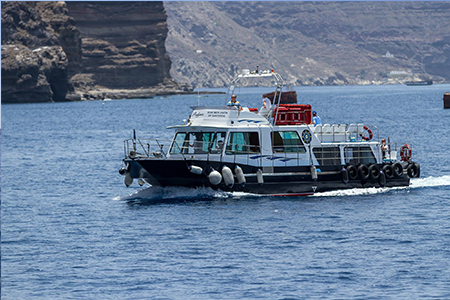 The Support for the research study of the volcano of Santorini in conjunction with the organization of educational programs both in our Shipyard and at the Headquarters of the Union, is another of the pillars of our actionsOur social role is reflected in concrete actions- services, made throughout the year. 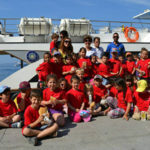 The Expert certification of our nautical knowledge and our boat is one of our daily tasks . 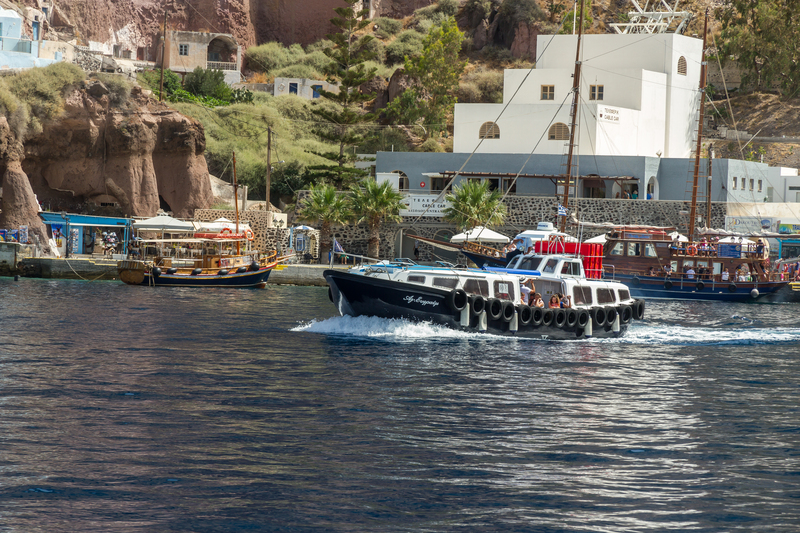 The main role of the Boatmen Union of Santorini is the safe transport of passengers and goods to and from the cruise ships coming in Santorini during the whole season. 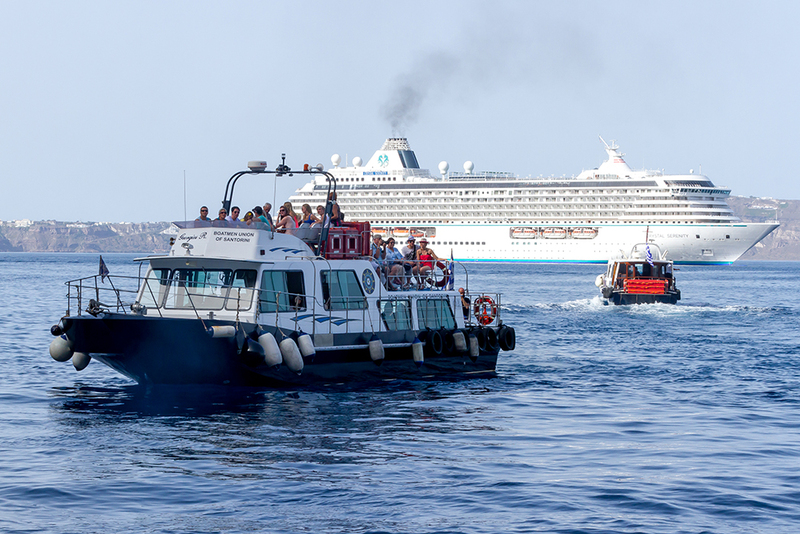 We also offer mooring services for all the ferries coming in Santorini and docking at the main port of the island, Athinios port, but also for cruise ships, yachts or any boat needs to dock in Athinios, Old port or at an off shore boa. 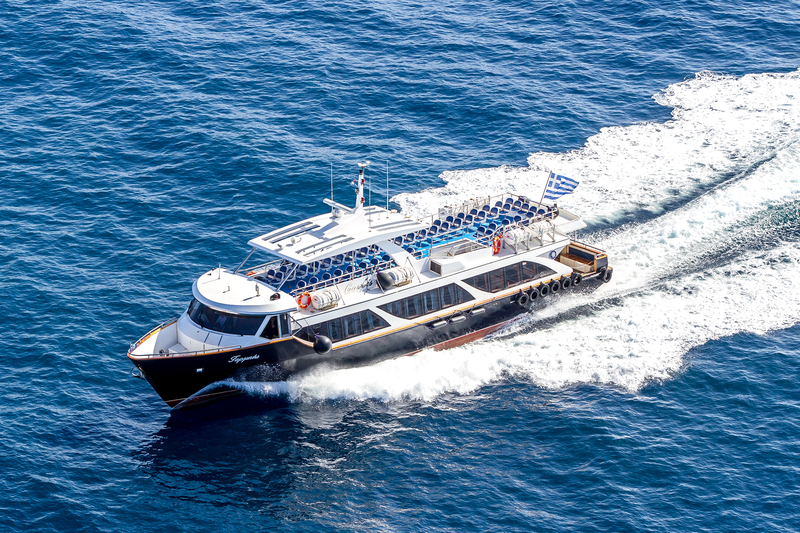 A new service that we start offering this year is the Passenger Vessels Chartering from Santorini to the some of the most famous islands of the south aegean like Mykonos, Milos, Ios, Folegandros, Anafi, Koufonissia, Amorgos, Sikinos. 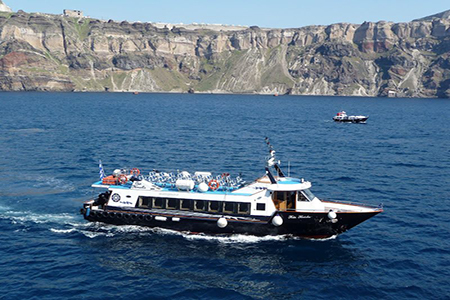 This service is promoted as Santorini Cruises. 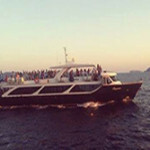 it is the third year that we run this service renting one of the vessels (Garbis first of all) to tourist operators of the island that organize daily tours to Ios/Folegandros offering also a caldera cruise, a sunset on board and entertainment music. 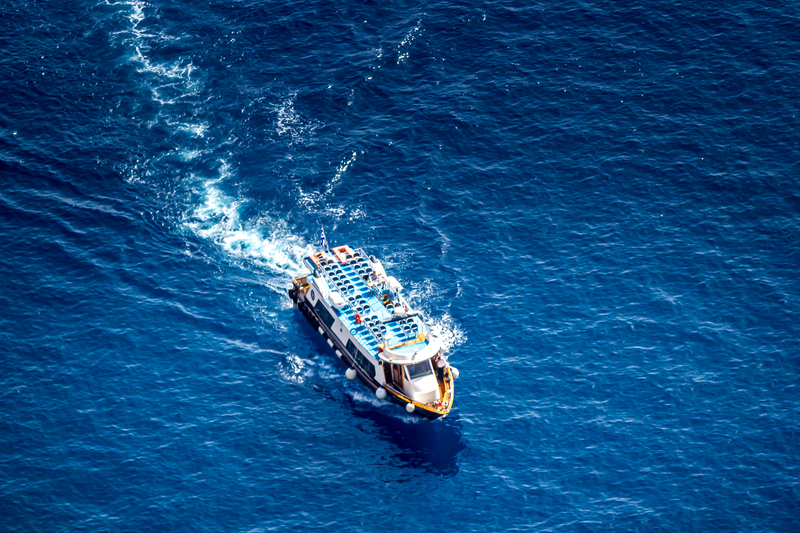 The Union is really active also in social & public, providing first aids services for ships, passengers and seamen that are in trouble. Several times we offered the vessels Kap. Koulis & Garbis as ambulance boat.